Photo from the 2017 Tour de Pines bicycle tour. For 14 years, the Pinelands Preservation Alliance has joined forces with bicyclists to organize a five-day bicycle tour of New Jersey’s Pinelands National Reserve. This year’s Tour de Pines event will take place from Oct. 3 to Oct. 7. According to officials, this event is designed to get people out in the Pinelands and on their bike, no matter how fast they ride. The tour consists of five consecutive single-day bicycle tours of the New Jersey Pinelands. Each day’s tour ranges from 40 miles to 55 miles that begin and end at the same location. It is a non-competitive ride where participants get a cue sheet for each day’s ride so they can go at their own pace. Participants can ride one, two, three, four or all five days. This year shorter loops of 25 miles are offered on Oct. 3, Oct. 5 and Oct. 7. Proceeds from the tour benefit the Pinelands Preservation Alliance, a nonprofit organization working to protect the New Jersey Pinelands since 1989. “It is more important than ever to raise awareness that these low impact areas where we love to ride our bike, go for a hike or swim are threatened. The more people that are involved the better chance we have at protecting them in the long run” said Becky Free, director of membership and communications for the Pinelands Preservation Alliance. Becky is also the staff representative on the Tour de Pines planning committee. 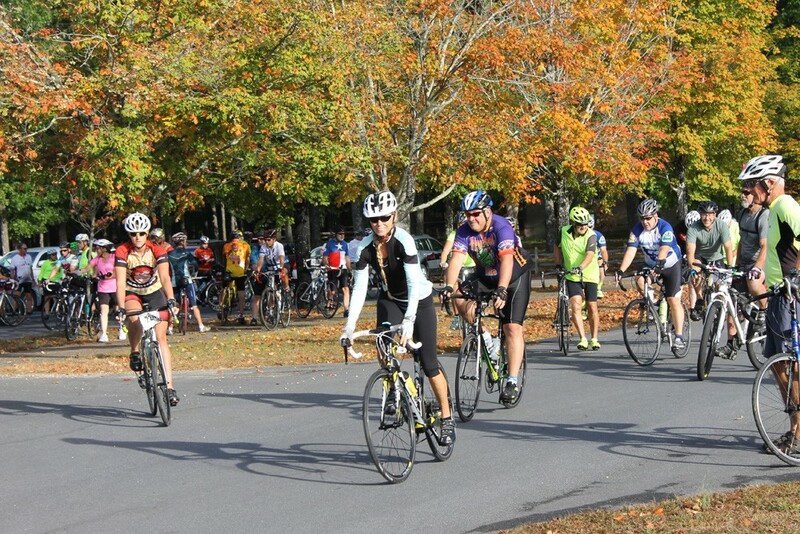 According to officials, the Tour de Pines highlights the size of the Pinelands (approximately 1 million acres) and its uniqueness as a wilderness area very close to both New York City (70 miles) and Philadelphia (30 miles). It also passes through a landscape that is made possible by the underlying water source, the Kirkwood-Cohansey aquifer, one of the largest (17 trillion gallons) pristine aquifers in North America. “More than 20 million people live within an hour’s drive of the Pinelands and yet so many people don’t even know it is here. Our hope is that the Tour de Pines event continues to grow giving more people the chance to experience its wild forests, wetlands and historic villages,” said Carleton Montgomery, executive director for the Pinelands Preservation Alliance. Last year registration for the Tour de Pines increased 65 percent more than the previous year when 336 people signed up to ride all or part of this five day tour of the Pinelands National Reserve. With great weather in the forecast, officials say this year’s turnout promises to be even more. Registration is $45 per person, and riders can ride as many days as they want for the one fee. For more information or to register, visit www.tourdepinesnj.org or call (609) 859–8860.